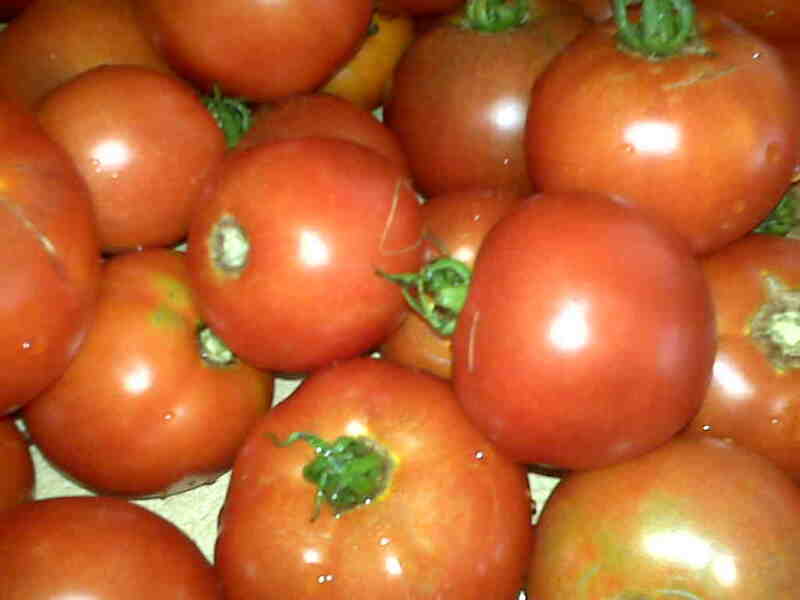 I'm thinking a couple tomatoes, a jalapeno, some cilantro and an onion from the store…mmmmmmm. Can you imagine if the roma plants had survived, too? 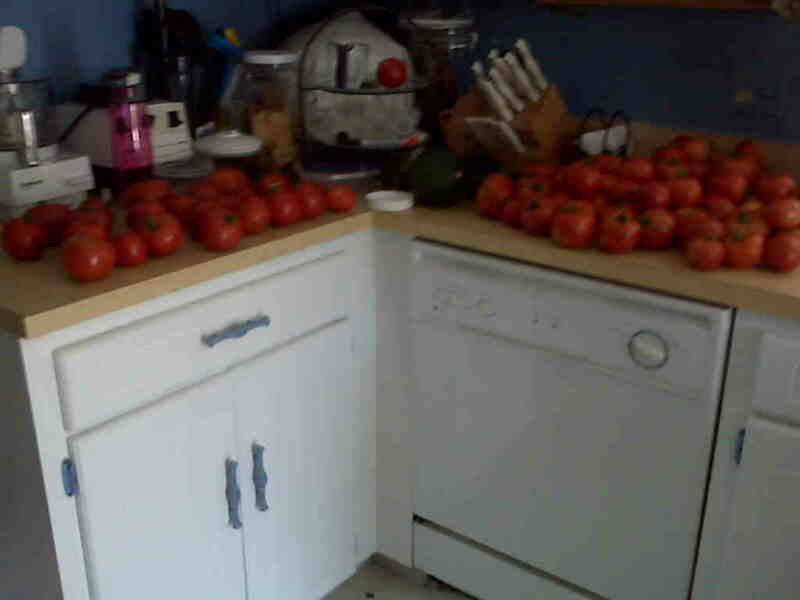 The romas did survive. There's not as many, but they survived. I have to say this–mom and dad could sense my stress with everything I needed to get done today, so while I was at a bridal shower, they called Jennie and Bryce. When I got back to mom and dad's to fix the garden, Bryce and all the kids were in the garden with mom and dad. 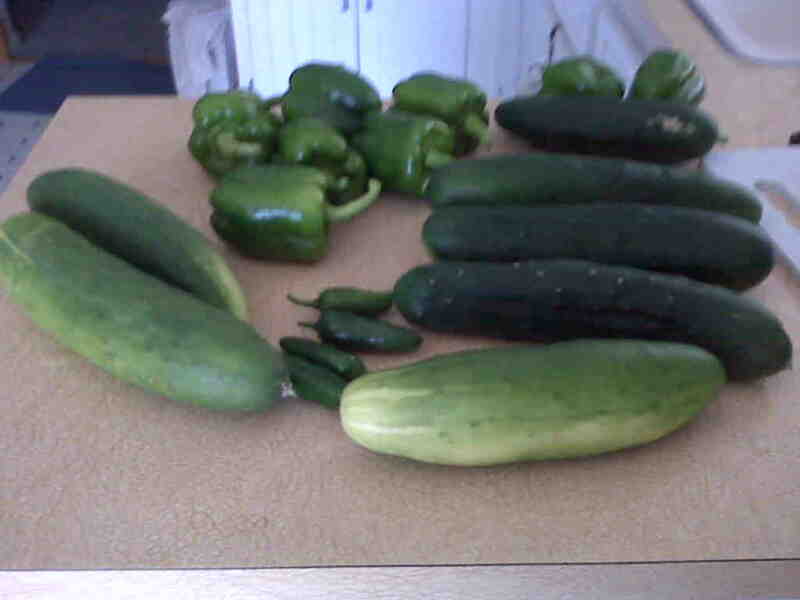 They had the whole garden harvested in about 10 minutes. It would have taken me 45 by myself.